Despite Microsoft's paranoia that everyone is trying to steal its operating systems, Windows Vista actually offers a trial installation that doesn't need activitating the moment you install it. Indeed it won't pester you too much for 30-days, and even after that period there are a few tricks you can pull to prolong your trial a little longer. In fact after you've 'rearmed' Vista a few times, you can even use the -reset switch to keep going for even longer. 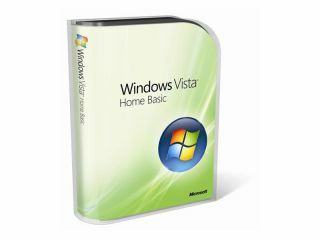 You'll need a legitimate copy of Vista in order to do this, of course, so this isn't a way of avoiding buying Vista in the first place, but if you use virtual machines or just want to see whether Vista will run comfortably on a rig, this is a great way of finding out. Of course, we would recommend that you sample Windows 7's svelte delights instead, especially if you are planning on reviving an older PC or laptop. Either way, at least you have a few more options. And with the likes of Ubuntu gaining in popularity, having a machine specifically designed to try out new OSes is a good idea. 1. How you rearm the trial period is dependant on whether your 30-day trial period is about to end, or has already ended. In the first case it's not too tricky a process to get Windows Vista going again, you simply need to manhandle the Windows Software Licensing Management Tool, or to give it its slightly less tongue-twisting DOS command name, the SLMGR. 2. The only real trick to be aware of here is that you need to run the command prompt with administrator's rights, which can be achieved by holding [Ctrl]+[Shift] as you hit [Enter] from the Run command [Win]+[R] after typing 'cmd.exe'. Once you're in the command prompt, you'll need to type 'slmgr -rearm' to reset the 30-day trial. And you can do this up to three times to give you the full 120-day trial period. 3. If the trial time's already run out, Vista will run in restricted mode, which doesn't allow you to open an administrator mode command prompt. However, there's a cunning workaround though (isn't there always?). Boot your machine and select the option to 'Access your computer with reduced functionality'. This will boot to a stripped-down version of Vista that only has Internet Explorer 7. Just enter 'file://c:' to launch the Windows Explorer. Use this to make your way to C:\Windows\ System32 and run Taskmgr.exe. From here you can select File > New Task and run CMD and execute 'slmgr-rearm'.